Don’t know what to gift for Valentine’s Day? Look no further, in the age of social media it’s definitely hard to come up with something original for your love. Candy, chocolates and roses are all dated and though oils may not be exactly a new idea it is super romantic and screams Valentines mood all over. Plus, it is one of those gifts you can both enjoy. 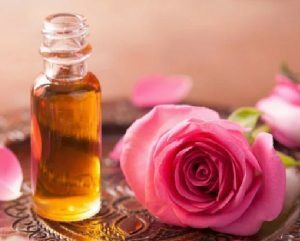 And, if you must know, since the days of the ancient Egyptians, essential oils have been used to enhance health, beauty, fertility, and perhaps most importantly, love. 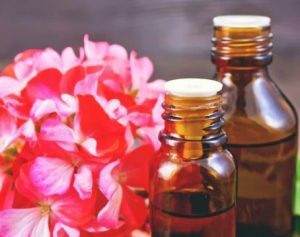 Check out below our top seven essential oils for Valentine’s Day. 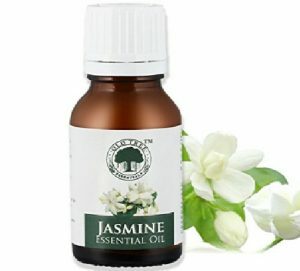 Jasmine essential oil helps to put couples in the “mood” by reducing frigidity; in other words Jasmine is well known for its aphrodisiac properties and is also, beneficial for performance issues in men. Mix a few drops with a carrier oil and massage over the heart. Geranium it’s for its sweet floral scent. It is an affordable alternative to Rose essential oil. Geranium is wonderful for the skin and used as a perfume it can inspire peace and calm. A potent aphrodisiac; probably one of the most potent in the essential oil world. This sensual oil can enhance your sexual experience while also balancing emotion and boosting mood. 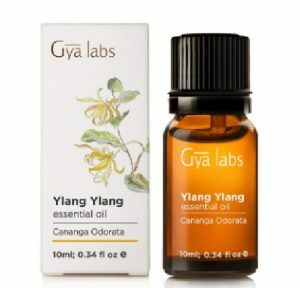 Combine 2 drops Ylang Ylang with 2 drops Sandalwood essential oil to create a massage oil your honey. 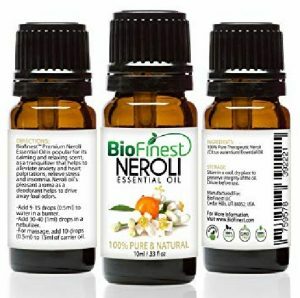 Neroli essential oil has a wonderful citrus scent. Similar to orange blossoms, Neroli is used often during wedding ceremonies because it’s known to stimulate romantic feelings. Diffusing Neroli in the home can set the stage for a romantic and playful evening. Sandalwood essential oil is another great oil that will inspire love on Valentine’s Day. 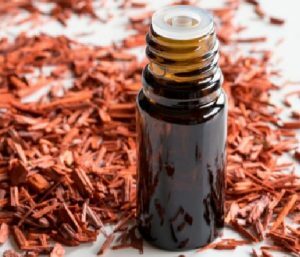 This oil is perfect for men thanks to its woodsy exotic scent. It’s a great oil to inhale to ease the body and mind into a relaxation. The rose is the most common flower associated with love. It’s strong yet sweet floral scent is romantic and known to stir up feelings of desire and love. It is a fan favorite. 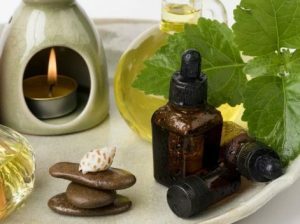 Patchouli essential oil is a loved aphrodisiac by many. Use it in Valentine’s Day activities such as massages and bubble baths. Great for the skin.